The Dutch settled five towns on Long Island — Brooklyn, New Ultrecht, Flatlands, Flatbush and Bushwick. In late September, the members of the Brookville Reformed Church gathered to celebrate the church’s anniversary and to dig deep into the congregation’s past. Inside a safe were the original records of the church, founded in 1732, and written in a language once heard all over western Long Island — Dutch. “We have had the records in the church since it was founded,” said the Rev. Allan Ramirez, the church’s pastor. Two years later, the group had raised enough money to build a church, which stands today on Brookville Road. The church is both a monument to the people who founded it as well as a legacy to the Dutch, who governed their colony at New Netherlands for only a half-century before being evicted by the English for the last time in 1674. Despite their short tenure, the Dutch left a deep imprint on the region they called New Netherlands — western Long Island, Manhattan Island and the Hudson River Valley north to Albany. They settled in five towns on Long Island — Brooklyn, New Ultrecht, Flatlands, Flatbush and Bushwick, which had a total population of less than 1,000 when the English seized New Netherlands and renamed it New York. The Dutch legacy has lingered for generations — in old houses, like the Wyckoff House in Brooklyn and the Jan Schenck house on display at the Brooklyn Museum; in street names; in churches and cemeteries; in a trove of documents written in Dutch, and in the language itself, spoken well into the 19th Century in parts of Brooklyn, along the Hudson River, and even in Oyster Bay. Street and place names serve as reminders of Dutch history. In the Bronx, a golf course and park are named after a prominent 17th century Dutch family — Van Cortlandt. In Brooklyn, Coney Island comes from the Dutch word Conijn, or Rabbit Island. Just north of Coney Island is a street named New Ultrecht Avenue. In Williamsburg, a street is named Wallabout Avenue, which was the name the Dutch gave the water between Long Island and Manhattan Island. In Queens, there’s Vanderveer Street and the Van Wyck Expressway, named after prominent 17th century Dutch families. One place name on Long Island has its roots in the Dutch language — Robins Island in Southold, which translates to Seal Island. And another, Fire Island, may have Dutch roots. The number four in Dutch is vier, which is pronounced fear but is often confused with the word fire, which in Dutch is vuur. An excellent example of Dutch architecture is the Pieter Claesen Wyckoff House Museum, on Clarendon Road and Ralph Avenue, in Brooklyn. Peter Claesen was 12 years old when he arrived in New Netherlands in April 1637. He worked as a servant on a farm near Albany before moving to a plantation on Long Island where he raised tobacco. The house that Claesen — who later changed his name to Peter Claesen Wyckoff — is operated as a historic home by the New York City Department of Parks and Recreation. A Dutch-era home is on display at the Brooklyn Museum. It is the Jan Schenck house, built around 1675, a year after the English took over. Schenck, who was born in the Netherlands, built the house in the area the Dutch called Flatlands, along the western edge of Jamaica Bay. It is clear that, even when the English ruled, that Dutch influences stayed. The bound volumes that contain the history of the Brookville Reformed Church, as it is called today, show that Dutch was the official language until well into the 19th Century. 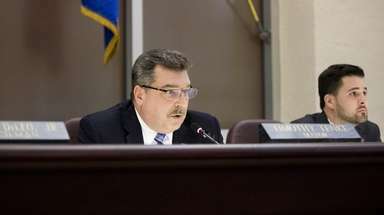 “The volumes include financial records, births, deaths, all matter of church business,” said Ramirez. 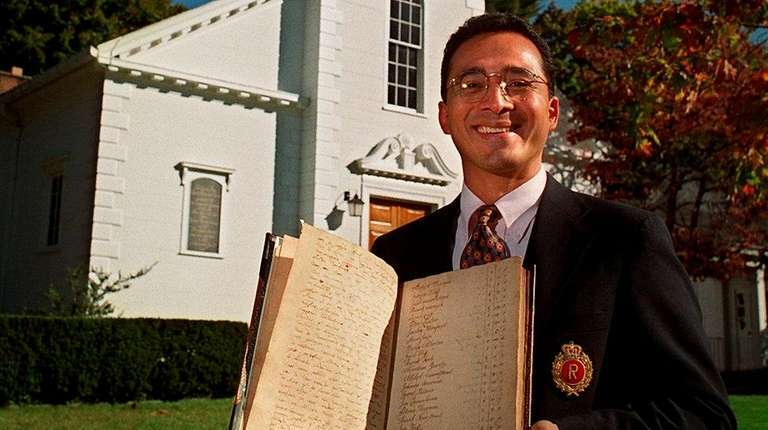 He said a church member in the early 20th century translated the records into English; recently, the original records were put on microfiche for safekeeping. In Albany, Charles Gehring is custodian of a trove of Dutch documents that date to the New Netherlands period. Gehring oversees the New Netherlands Project, which seeks to preserve and translate these records while looking for undiscovered documents in New York and the Netherlands. “The Dutch legacy lingered in many ways for a lot longer than most people have assumed,” he said.